The Videx Slim Line 1 Button Audio Kit has a door panel has been designed so that in can be mounted in areas with limited space and is particularly suited for glass and aluminium frontages. The panel is surface mount only and the telephone is wall mounted with a lock release button and a three position call tone volume control. 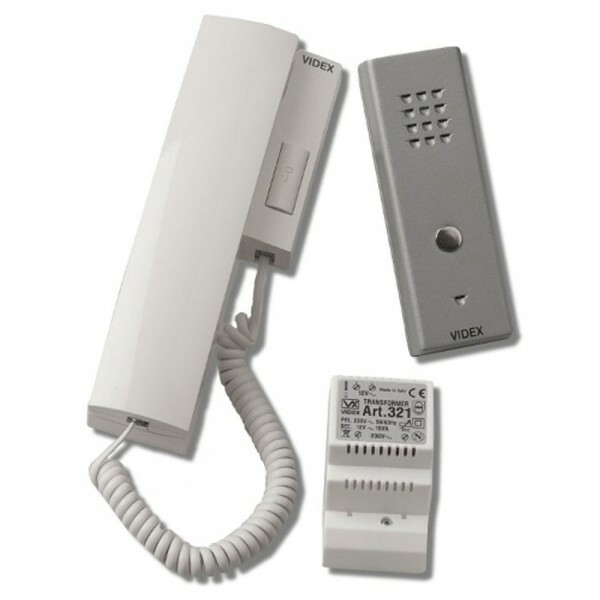 Up to 2 additional handsets can be connected in each apartment.